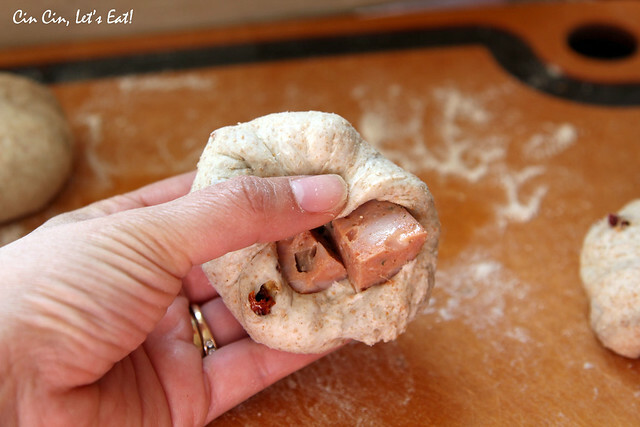 Easy Rolls with Sun-Dried Tomato and Sausage [recipe] – Cin Cin, Let's Eat! 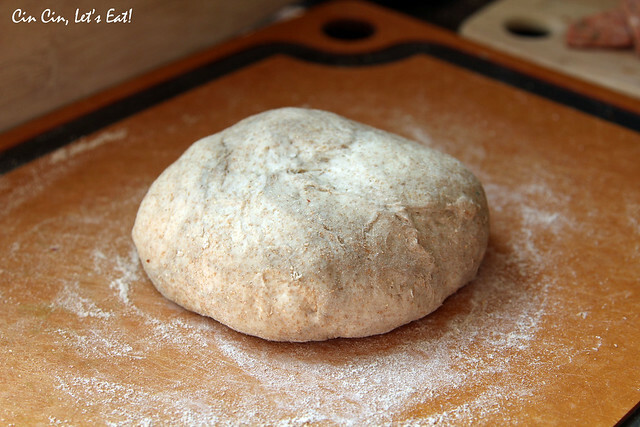 It really doesn’t get much easier than this because I used store-bought pizza dough! I love buying Trader Joe’s fresh pizza dough and besides making delicious pizzas with them, I’ve made tasty bread sticks and cinnamon twists with them too. 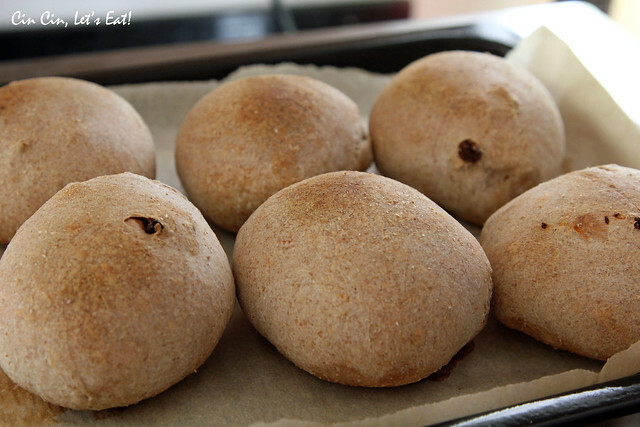 I’ve also witnessed some successful pizza dough doughnuts action from using the store-bought dough – Tear them to smaller pieces, deep fry them like doughnuts and then toss in cinnamon sugar. By using pizza dough, you’ll end up with a rustic and wholesome taste versus using canned dough which often has a strong butter taste. 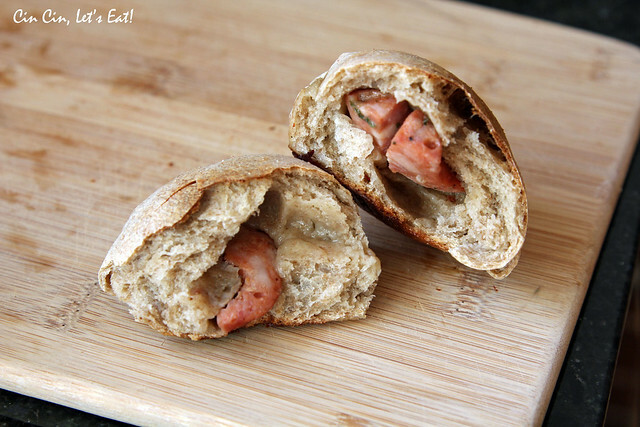 Bread rolls stuffed with sausage and cheese is something my mom used to make for me and my siblings all the time. We ate them as breakfast, lunch, dinner, and snacks! 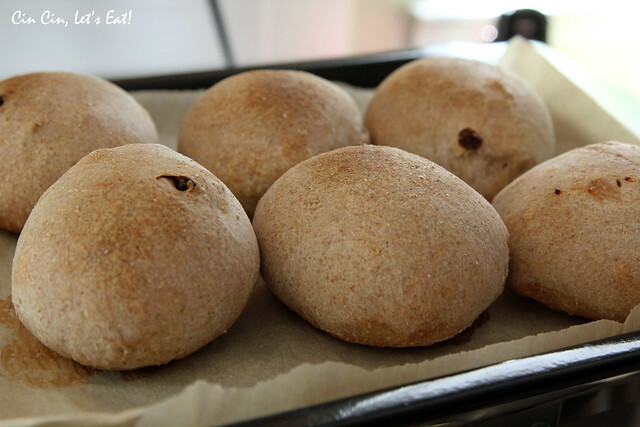 This is such a versatile recipe as you can put whatever you want into each rolls. They are great for sit down dinners as accompaniments, and great for on-the-go quick snacks and refuel. 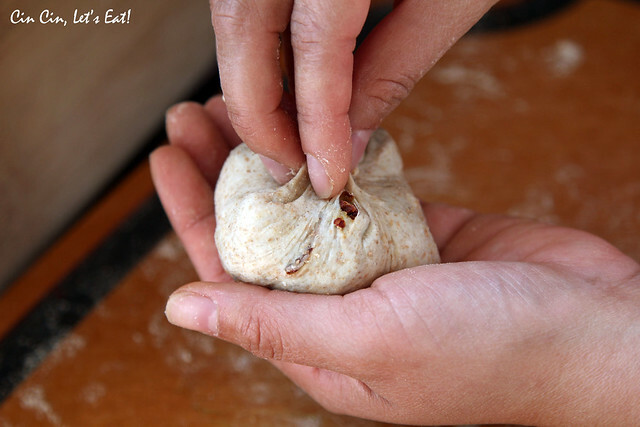 Remove pizza dough from packaging and let rest on a slightly floured surface for 15 minutes. 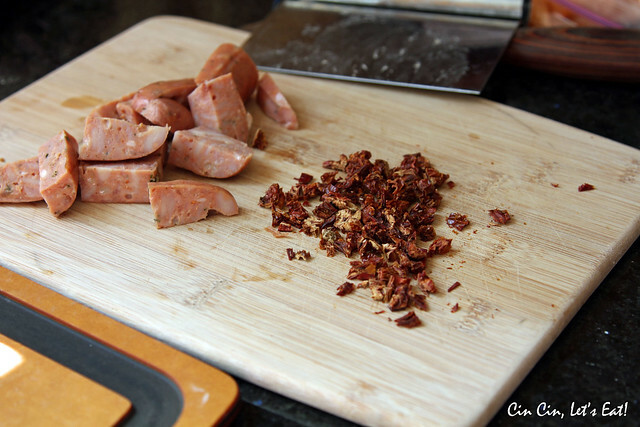 Prep the sausage, sun-dried tomato, and cheese in the mean time: Sausage – 1″ to 2″ dice, tomato – finely chopped, and cheese if using – small 1/2″ cubes. 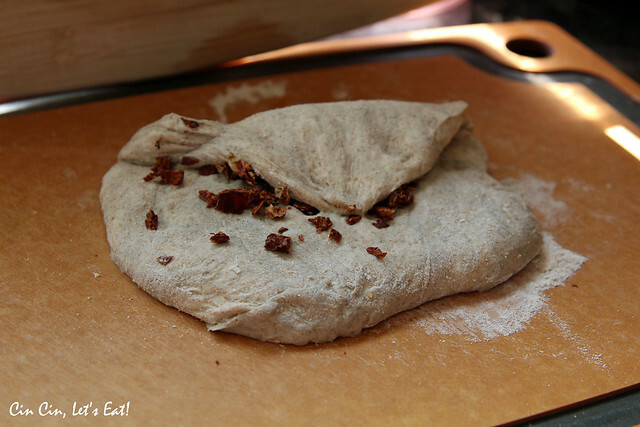 Sprinkle the chopped sun-dried tomato pieces on top of the dough, and knead for a few minutes to work the tomato pieces into the dough. 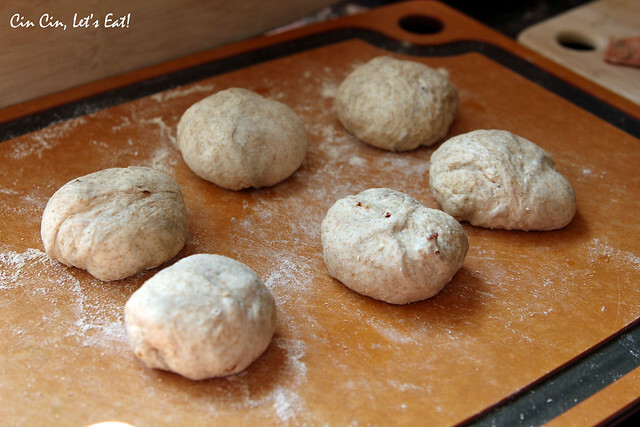 Divide the dough into 6-8 even pieces. Roll them into ball shapes. 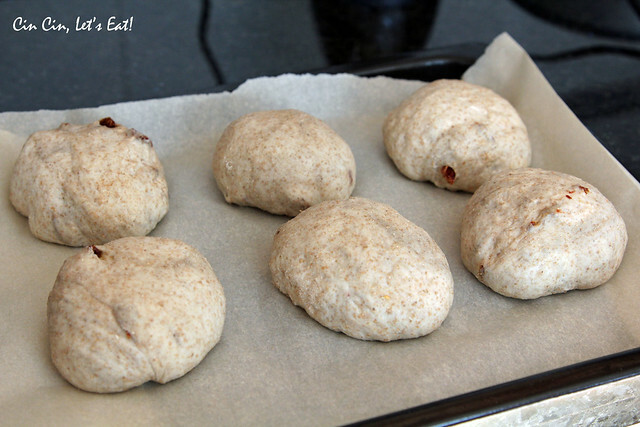 Flatten each ball of dough with palm. 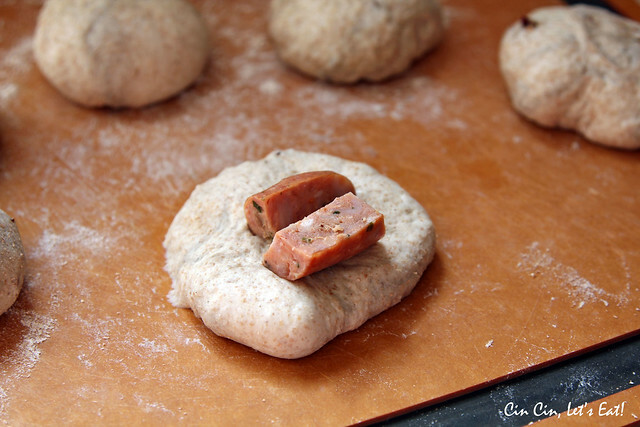 Put a couple pieces of sausages on the disc of dough. If you are using cheese, add 1 or 2 small cubes of cheese on there as well. Bring all sides into the center and pinch the center to close. 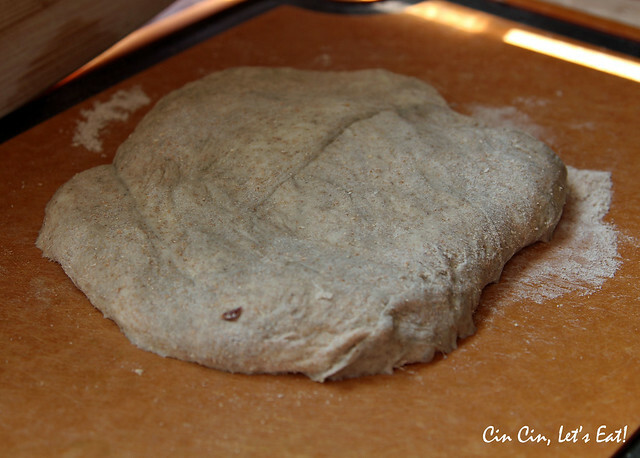 Turn the dough so that the seam faces down. Place on a baking tray lined with parchment paper or silicon mat, cover with plastic wrap or a damp towel. Let rest for 30 minutes. While the dough is resting, pre-heat the oven to 375F. When the dough is rested, brush lightly with melted butter (optional), bake for 22-25 minutes or until golden brown. This was a whole wheat dough. Any type of dough will work just fine. Knead it good so the tomato pieces are evenly distributed in the dough. pinch all the sides together in the center. 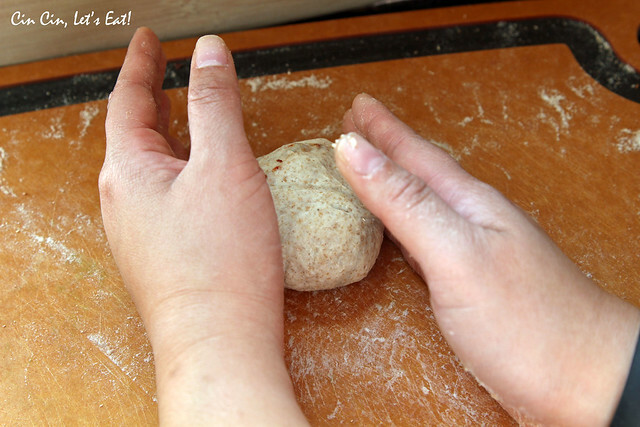 Use your palms to help shape the dough. Don’t forget to let the dough rest. Such yummy snacks! Great for those early mornings when I don’t have time to make breakfast. I just grab two of these rolls with a cup of coffee and jet out of the house.